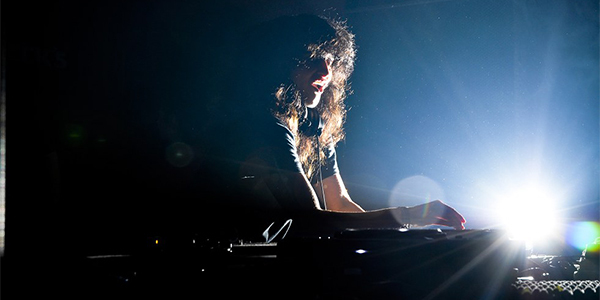 It's hard to ignore how male-dominated the electronic music scene still is, but that doesn't mean there is a shortage of powerful ladies making their name behind the turntables and flying the female flag. Here are 10 who have more than earned their stripes. 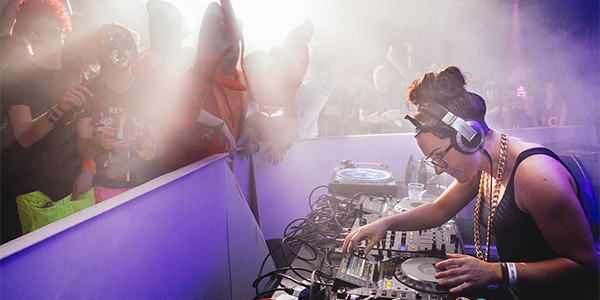 Described by Resident Advisor as being "hugely creative behind the decks", Hannah Wants has an inventive style that blends house and bass. When she's not playing big festival dates, Wants releases bi-monthly 24-track mixes via her Soundcloud. 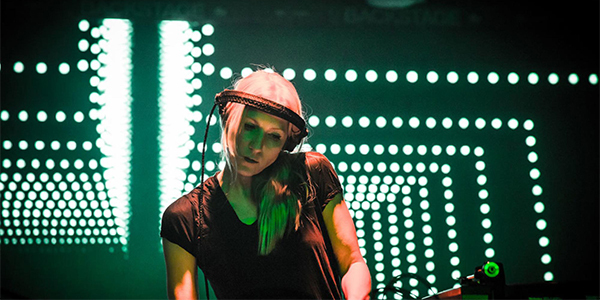 Splitting time between vibrant party scenes in Ibiza and back home in Berlin only enhances the freedom in Ellen Allien's modern electronic sounds. The multi-talented DJ and producer launched her label BPitch Control in 1999, and has also been known to turn her hand to t-shirt designing. Caroline Hervé has such a multi-layered sound it's hard to pin her style down. From "Electroclash" to "Techhouse", her sets are known for packing the charisma and an instantly recognisable tone. When she's not throwing illegal parties in World War II bunkers, trams and empty houses, Monika Kruse is tearing up her residency at Berlin's Berghain. Kruse is no stranger to performing alongside Carl Cox and Marco Carola, and has become one of the most respected names in the world of techno. Born in Nigerian and raised in London, UK, Nicole Boudaber has built a bold sound to match her electrifying live performance. It's tough to leave one of her sets without a big smile on your face. 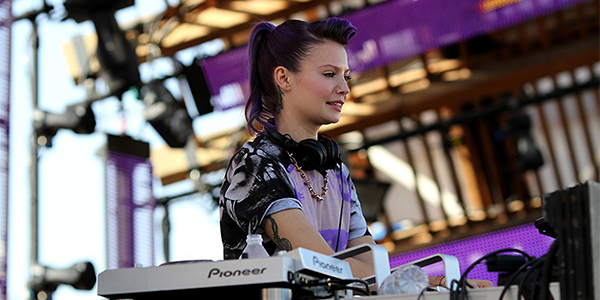 Upbeat and vibrant, B.Traits is a DJ/producer and prolific radio presenter. 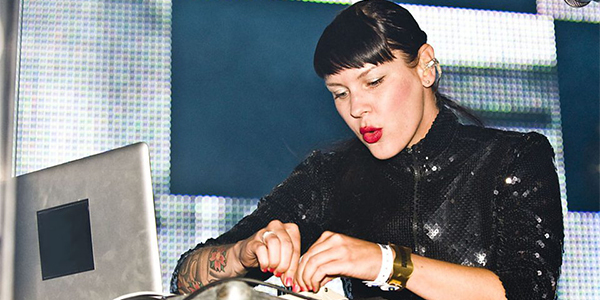 Mixing sounds from electronica, breakbeat and house rave, she hosts regular shows on BBC Radio 1Xtra and BBC Radio 1. Fans of experimental sets flock to experience Magda, as she treads right across the electronic spectrum via surprising twists and turns. From dark to light, Magda's rule-breaking has helped her stick out from the crowd in all the best ways. 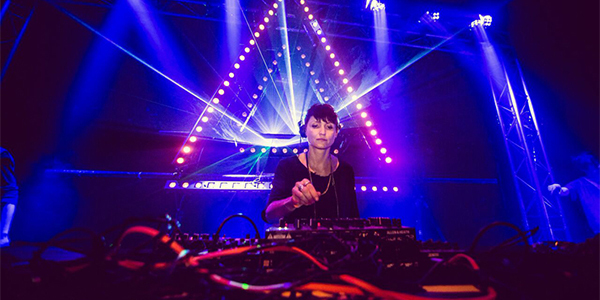 Hypnotic and captivating, Nina's passionate ear for house and techno has led her to the very top of the techno scene. Major festivals likes Coachella, Sonár, Awakenings and Decibel are all in a day's work for Kraviz. Australian twins Nervo ramp up an infectious energy that cannot be exhausted. Miriam and Olivia consistently feature in DJ Mag's Top 100 DJs list, co-wrote the Grammy Award winning When Love Takes Over with David Guetta & Kelly Rowland, and are well acquainted with the biggest stages in EDM. DJ, presenter and all-round pioneer for UK dance music over the last two decades, Annie Mac tops the list by the sheer weight of what she's acheived. Malt's Lost & Found festival has taken the Annie Mac Presents brand to a whole new level, and ensured that the label 'trailblazer' continues to suit her perfectly.